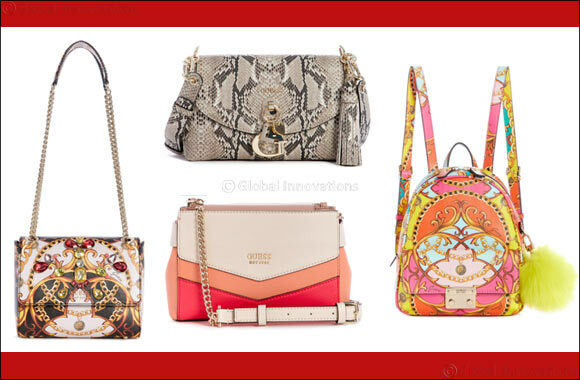 Dubai, UAE, January 28, 2019: Romantic, sensual, elegant, urban-chic… whatever your style, the GUESS SS19 Accessories collection has inspirations that will satisfy even the most demanding trendsetters. Give your bagpack an upgrade this season by incorporating bold colours and brocade-style designs ensuring it will never pass unnoticed. Vintage vibes are also echoed in a practical satchel in bold red or warm, earthy tones for a sophisticated allure - perfect for those on the go. The smart satchel with buckle accents or the flap closure design with jewel embellishments will add a sensual touch to your spring and summer outfits. This Valentine's Day get a free GUESS wallet on every AED 600 purchase!